North American Broadcasting Company Inc. - North American Broadcasting Company Inc.
North American Broadcasting Company, Inc. is a locally owned Central Ohio company established in 1957, delivering three diverse radio stations in the market, all targeting a different demographic. WRKZ (99.7 The Blitz), is Active/Mainstream Rock, WJKR-FM (103.9 Jack-FM) is an adult variety hits station, and WMNI-AM/FM (Easy 95.1 & AM920) is a Soft Adult Contemporary station featuring artists like Elton John, Chicago, James Taylor, Carole King, and Neil Diamond. Not only does North American Broadcasting Company, Inc. provide formats targeted to diverse listenership and advertisers, we also deliver a second to none staff of experienced, creative, and hard-working individuals. From programming, to sales, to promotions, we strive to come up with the most effective advertising/promotional campaigns for our partners. Each department works closely together, maximizing their individual strengths, to come up with the most effective campaigns for our clients, while maintaining the integrity, goals, and images of each station. The locally owned aspect of our company emits an atmosphere of employee ownership in all that we do. 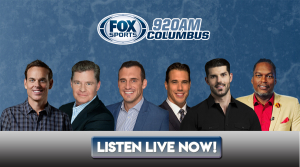 Our programming, marketing, promotions, and sales strategies are created in Central Ohio, specifically and creatively targeting Central Ohio listeners, delivering results for advertisers who strive to put their finger on the pulse of Central Ohio consumers. We understand the needs of the Columbus audience, and work tirelessly to fulfill these needs better than anyone in the market.